Have fantastic water throughout your home! Removes iron, manganese and odors. 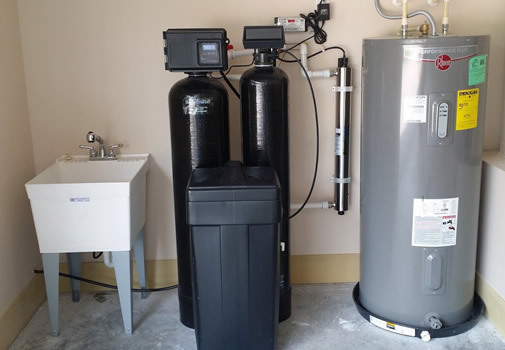 Because clean water is so important, call the experts in water filtration. 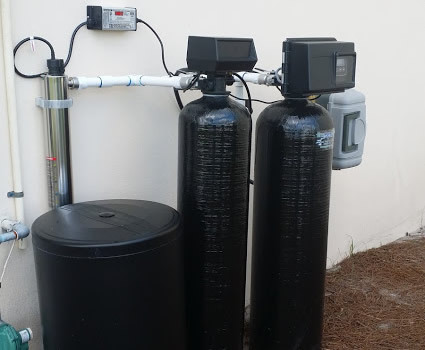 The South Florida Water team sells, installs and services the best quality water softeners, water conditioners, salt free conditioners, well water treatment system, reverse osmosis and iron sulfur systems throughout Tampa FL, Orlando FL, Sarasota FL and all the communities in between to include: Land O Lakes FL, Wesley Chapel FL, Zephyrhills FL, Odessa FL, Lutz FL, Tarpon Springs FL, New Port Richey FL, Spring Hill FL, San Antonio, FL, Inverness, FL, Leesburg, FL, Brooksville FL, The Villages, Ocala FL, Plant City FL, Dade City FL, Wimauma FL, Ruskin FL, Riverview FL, Valrico FL, Lithia FL, Parrish FL, Apollo Beach FL, Lakeland FL, Bradenton FL, Kissimmee FL, Clermont FL, Sun City Center FL, Windermere FL, Sanford FL, Longwood FL, St. Cloud FL and more.